A few weeks ago, Anne at Modern Mrs. Darcy wrote about the ten item wardrobe. 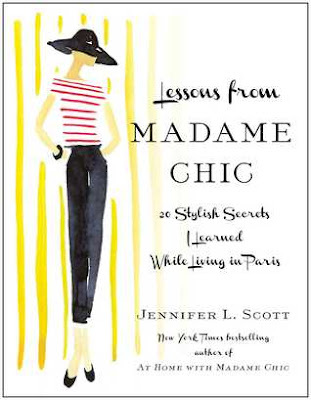 Her ideas came from the book, Lessons From Madame Chic. Having just been through a KonMari clothing purge (but with a closet with still many more than ten items in it), I was intrigued and immediately checked out the book. It details some of the things Jennifer Scott learns as a foreign exchange student in Paris, France. Her host family is the refined and sophisticated Famille Chic (not their real name, obviously), and Jennifer quickly realizes that life in this home is far different from her home back in California. They don't snack in between meals, Madame Chic wears very light makeup, and they don't save their best possessions for some elusive future day. They live life fully and passionately. When I first picked up the book, I thought it was going to focus mainly on clothing and fashion. But while that is an aspect of the book (and the aforementioned ten item wardrobe does get its own chapter), it's more well-rounded than that and highlights various observations made by Jennifer during her stay. Even though I enjoyed the book and it was a quick read, it's not going to be one that I tell people to rush out and grab a copy of and read right now. This book is an expanded version of a series Jennifer Brown did on her blog (in fact, some of the material is word-for-word, exactly the same). I'm not opposed to taking a good idea and developing it into a book, but this felt more like a cut-and-paste kind of job. She tells lots of personal stories from her time in France, which I loved, but scattered in between these were sentences that felt silly and trite. For example, when Jennifer first arrives and goes into her bedroom, she finds a small, freestanding wardrobe. She wonders if this is where she is supposed to store all her clothes (two large suitcases worth). She says, "I was in denial at the time, but the answer to that question was undeniably oui!" Or like when she keeps describing Madame Bohemian's style as, well, bohemian (just like that, several times--as if she just thought of it even though she's already said it before). 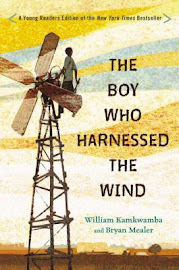 Last year, I read Notes From a Blue Bike, which, similar to this book, was also written by a popular blogger, but I found the writing style very different. 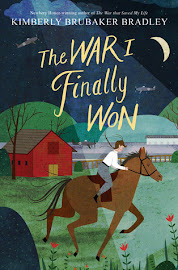 You might recall that it was actually one of my favorite books from last year--partly because I resonated with the idea of simple living but also because Tsh Oxenreider's writing style was fresh and engaging. Overall, I agreed with most of what I found in this book (I definitely already employ le no-makeup look, so now I feel quite validated that this can actually be defined as a style and not just attributed to laziness and inexperience). I appreciated the ten item wardrobe chapter (and should clarify that it's ten core items and doesn't include T-shirts, pajamas, scarves, accessories, coats, or any off-season clothing, so, you know, it's not really ten items at all). I've been thinking about trying some form of this myself--even if I can't whittle it down to ten items exactly, it would still be nice to have my basic items that could be easily interchanged and mixed and matched with each other. Changing topics, I was confused about why you should never ask someone what they do for a living (this was discussed in the chapter, "Cultivate an Air of Mystery"). Of course I would never ask someone about their salary, but why is it bad to find out what they do for work? This gives them the opportunity to talk about something that they are (hopefully) passionate about, helps you make connections, and expands your view. Even with the random stranger sitting next to you on the airplane or the casual acquaintance at the park, this seems like a fairly innocent question. Have I unknowingly offended dozens of people over the years by asking them what they do for a living? I saw that there are two more Madame Chic books (one out last year and another one coming out in October this year). 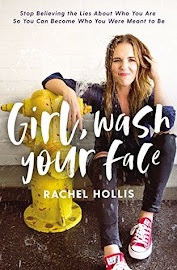 Maybe it's unfair, but knowing that made this book seem less reputable and interesting and more like a gimmick (in a similar vein to Chicken Soup for the[Fill in the Blank] Soul.) I'm not saying don't pick it up. Just know that there isn't going to be anything too deep or profound in it and even those topics that could have gone that way are going to feel somewhat superficial.